I am a software engineer at Infoway e-health company, currently working with business rule management systems for health insurance regulation. Recently I sucessfully applied to be a full professor on computer science at IFPI. Furthermore I’m trying to maintain the first and unique hackerspace in my state, the Hacking Crew – Teresina. I’m also preparing to apply for graduation school in Computer Vision/Graphics or Artificial Intelligence once I’ve already have some experience with both. In Computer Vision I’ve participated on a MIT Media Lab Camera Culture group project called Vision Blocks and in Artificial Intelligence I’ve been working for a while specifically with Knowledge Representation at Infoway. Computer Vision/Graphics, Artificial Intelligence, Information Security, Health Care Technology and Game Development. Final project: Vision Blocks: A social framework for computer vision. Software Engineer at Sense team: Sense is a rule-based system for health care insurance management and regulation. Technically it uses production rules to dynamically builds data marts by confronting rules with facts from operational information system. This project is part of a production claim processing system in a government health care insurance service. It has these advantages over similar services: semi-natural declarative language for cube generation, distributed processing cost over time, and lowest cost when compared with traditional OLAP systems. Vision Blocks – A collaboration between MIT and IFPI. This research project which comes to make computer vision accessible to end-users. Delivering computer vision to masses through a web-based framework that empowers users with no programming experience to create customisable vision systems. In vision blocks, users build programs by putting together blocks of algorithms to solve their problems, delivering computer vision at right level abstraction. This project also won the Google App Engine Awards 2012. FISIO – An intelligent device for diagnostics and treatment of lumbar pain and other backbone disorders – According to the World Health Organization, more than 80% of world’s population will experiment back pain sometime in life and most of them have no known cause since many factors contribute to its occurrence. Surprisingly, solutions for back pain diagnosis and treatment aid were proposed late in 19th century, and use analogical pressure bags to identify instabilities in patient’s spine during a serie of exercises. 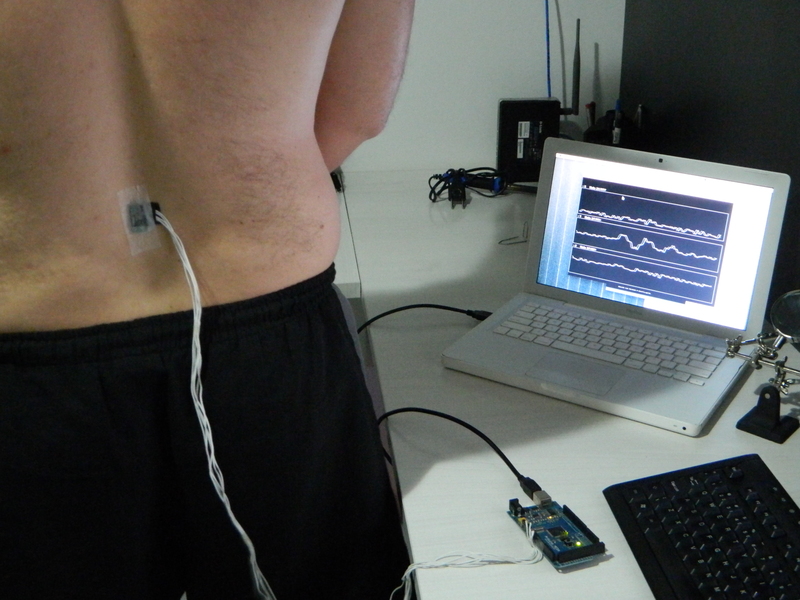 In this project, we’re building a series of sensors based on digital accelerometers to not only better measure spine stability, but also to automatically detect the types of movements and show a real-time simulated visualization of the spine, all this freeing the physician from the responsibility of recording data at the same time. A Light Weight Alternative for OLAP. OLIVEIRA, H. C.; CASSIMIRO, J. C.; PASSOS, E. B. In: SEKE, 2012, Redwood City – CA. Proceedings of SEKE 2012. Aspectos de Segurança e Privacidade na Internet. Oliveira, H. C.; Saraiva, N. S. In: Revista Diálogos, ano. 1, n. 1, p. 21-22, 2011.